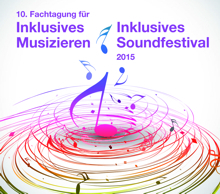 Saturday, 09/12/2015, 7 pm W.i.t.CH. Free entry at all events! Class 4A is one of the music classes at MIM Wendstattgasse, and its students are now ready to show their abilities after four years of training at the school. The music classes' students study one instrument each, contributing their talent to ensemble groups. In addition to solo performances, both ensembles and the class will perform modern as well as traditional songs. More than 340 students at MIM are trained in the fields of music and IT. The Odeon ensemble of the School of Music Favoriten will play music by Ennio Morricone, Peter Gabriel, Pat Metheny, Richard Galliano, Nino Roty, etc. The music will be performed on vest-pocket instruments such as the ukulele, octave guitar, charango, and ronroco. 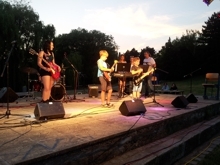 In addition, the very young musicians of the musical school 10b will perform songs such as 'Sunshine of Your Love' by Cream and 'Amadeus' by Falco; students of the musical school 10b will perform 'Don't Stop Believin' by Journey. Clarinet quartet '3Viertel4' CLASSICAL MUSIC BRUNCH! 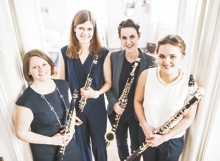 The clarinet quartet '3Viertel4' comprises students respectively graduates of the University of Music and Performing Arts Vienna who formed an ensemble in 2009. Featuring two clarinetists, one basset horn as well as one bass clarinet, their repertoire ranges from classical music to jazz to popular music. Within the past years, the ensemble has accompanied a large number of events and also performed concerts on their own. Weana Madln ('Girls of Vienna') CLASSICAL MUSIC BRUNCH! 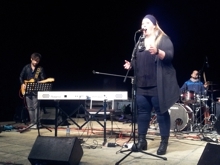 Having met as early as in their high school years, some of 'Weana Madln's' musicians continued making music together as university students and stayed in touch via the ensemble. By now, their repertoire comprises more than 50 different pieces by diverse composers, including classic and Latin American dances. By continuing their work through all these years, the formation has developed to a highly professional ensemble whose music resounds at the highest level. Austria's first women's chamber orchestra, headed by Kati Marothy, was founded 33 years ago, at a time when highly skilled female musicians were not given the opportunity to join most of Vienna's large orchestras. 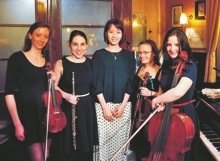 The women's chamber orchestra attempts to tackle subjects of great importance in today's times. Emphasis is placed on subjects such as peace, tolerance, human rights, slavery, human trafficking, and others. 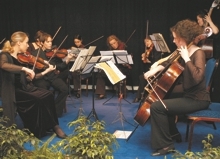 Austria's first women's chamber orchestra is well-known for its versatility and creativity in its programming. It performs a large number of world premieres and first performances, as well as attaching great importance to the work of female composers. To the best of its abilities, the orchestra has invited female conductors from all over the world. 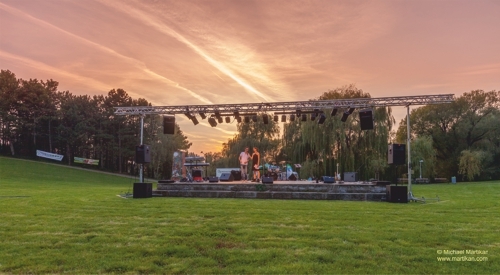 The musicians have garnered the attention of a large audience through the choice of its programs, often incorporating certain subjects into concert evenings, as well as by combining classical and contemporary music. The participation in international festivals at home and abroad is just as much a core activity of the orchestra as yearly foreign tours. Deep gazes on necklines... and women's hearts – marriage proposals – an emotional roller coaster – a fivesome! Five powerful voices – groovy, heartwarming. 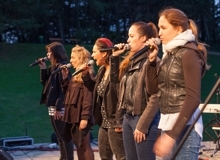 The girls inflame the mood to a boiling point with their powerful beat-box and soulful choirs. With their songs on chat-ups, burnt hearts, and why people over-salt soups, the singers do not miss out on anything when it comes to all things love. No instant meal, but self-composed songs and surprising arrangements. A young female artist, a long-lasting journey, departure and escape, stories, impressions, experience, perception, and: a mysterious drawer, an intimate archive of thoughts in which the sensitive observer collected and kept all her experiences. A long time has passed until her songs now finally found their way onto stage. The audience can look forward to a versatile singer and song writer who convinces with her sunny genuineness and touching self-composed songs. The lady knows how to play the piano, and that's what she does, too...! Ulli Wigger is a pianist, singer, composer, songwriter, as well as arranger, and excels especially through her extraordinary impulsiveness at the piano. 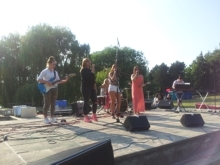 The talented, petite musician is band leader of her ensemble 'Ulli Wigger und Band'; her arrangements, which tend to sound rock music-like, are perfectly performed by her 'busters', as she lovingly calls her band. Her motto: Music is supposed to connect people and to open hearts!